Furuno makes a wide variety of fish finders to suit nearly all fishing situations. Captains of smaller boats tend to focus on recreational units, which have smaller screens and are easier to install in tight cabins. For larger boats of professional fishing outfits, choose a commercial unit. Furuno makes fish finders for recreational and commercial anglers. Generally the models with smaller screens are more appropriate for the recreational angler. When shopping for a fish finder, pay more attention to the resolution the transducer and fish finder combo are capable of than the resolution of the screen. A high resolution screen means nothing if the other hardware does not make use of it. For small pleasure boats, look into Furuno’s”LS”line of fish finders. The LS line includes the LS4100 and 6100 models, both suitable for small pleasure boats. Both offer high resolution and dual frequency monitoring on the 50 and 200 kHz channels. Regardless of the model chosen, the buyer must add a transducer to complete installation and begin using their new fish finder out on the water. Furuno is the go-to for many professional anglers, guides, and commercial fishermen. 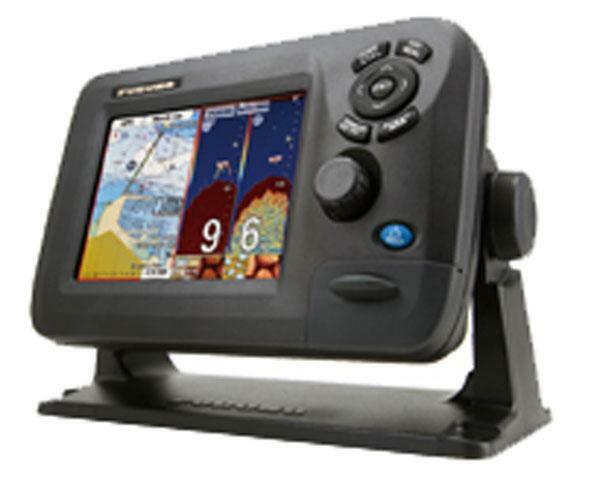 Commercial fishermen often rely on Furuno fish finders to find large bluefin tuna, marlin, and shark in the ocean. Commercial units include many features less expensive recreational units do not, like increased resolution, multi-color displays, and bigger screens to increase the user’s fish catching potential. For commercial fishing where peak performance matters, look at Furuno’s “FCV” series of fish finders, including the FCV585 and FCV620. Screen sizes for commercial units range from 5.7 inches to 12.1 inches, and they include many features unavailable on less expensive recreational units. Fishermen must purchase and install a transducer, or else the Furuno fish finder does not work. Unless an angler purchases a used fish finder and transducer together, new Furuno fish finders and transducers appear separately. Some transducers provide speed and water temperature information, and Furuno often designs these for mounting in the boat’s hull. Anglers refer to this as a “shoot through” transducer, and this set up is common on large boats. Also available are transducers for mounting on the transom of smaller boats. This may require a transom mount or bracket. Some fishermen want to mount their transducers directly to the boat’s hull. For this set up, a professional must cut a hole in the bottom of the boat to link the transducer and the hull. All Furuno fish finders come with two frequency options. When set to the 200 kHz setting, the Furuno fish finder allows anglers to see a high definition picture of what is going on immediately under their boats. The 50 kHz setting allows anglers to see much”deeper.”Anglers who opt for a commercial fish finder may choose between 28, 38, 50, 88, 107, and 200kHz for their frequency pair, depending on local conditions and underwater topography. Using a Furuno fish finder is as simple as installing the transducer and the fish finder itself, switching it on, and paying attention to what happens on the screen. Beware of obstructions below the water that may affect the view on the screen. Sidelobes, target masking, and interference are three top causes of misreadings on Furuno fish finders. Sidelobes occur in shallow water, when the mainlobe is too skinny to transmit useful data, and the outer parts of the beam return weak signals. Moving to deeper water quickly clears this issue. Target masking occurs when the transducer returns signals from an obstacle like a ledge or slope. Fish in the general vicinity of the obstacle are invisible in a target masking situation. If an angler is near another vessel transmitting acoustic signals, interference causes inaccurate screen readings. Starting from any eBay page, use the search bar to find a selection of used and new Furuno fish finders to choose from. Use keywords like “used fish finder” or “used complete fish finder” to find a product suitable for use and installation. Remember that recreational units have smaller screens, making them easier to install in small boats. Commercial units are more expensive, but they come with features for professional fishermen. Be sure to check seller feedback to ensure they are reputable. Many reputable sellers sell many different types of Furuno fish finders, and they have a wealth of knowledge for buyers to tap into. When the fish finder arrives, install it and be sure to enjoy your new view of the water under your boat. With that kind of data available to fishers, a fish finder can potentially increase the number of fish found and caught, even on smaller boats. 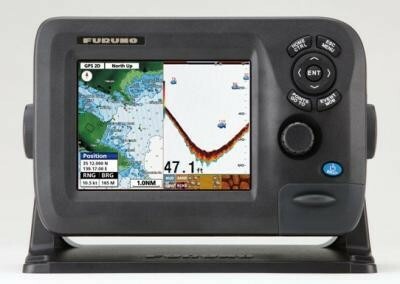 Using a Furuno brand fish finder is straightforward, but there are things to watch out for before purchasing, installing, and using a fish finder and transducer combination on a fishing boat.